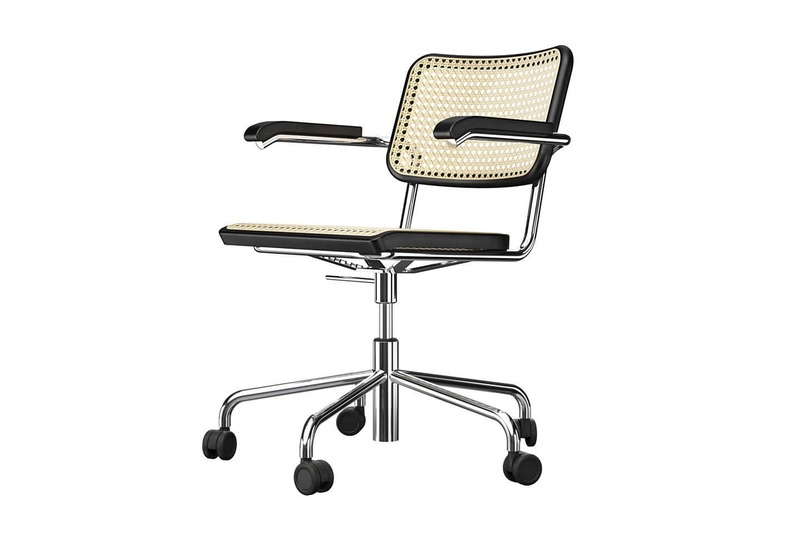 These designs are probably the most famous and most-produced tubular steel classics. Their most important property is the sophisticated constructive form and ingenious aesthetic combination of tubular steel, wood, and wicker. The design goes back to Breuer's productive years in Berlin from 1928 until 1931 during which, after leaving the Bauhaus, he worked as an independent architect and interior designer and realized a number of grand interiors and designed numerous pieces of furniture. 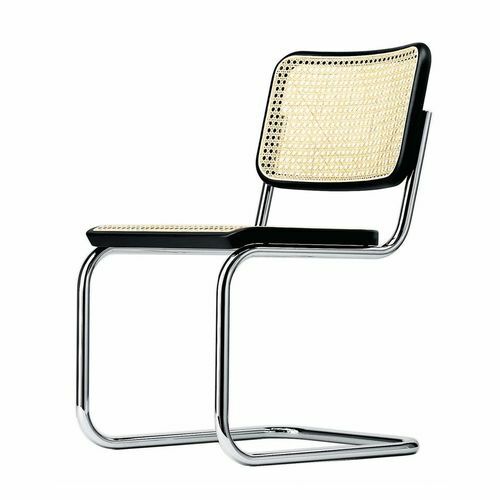 Thonet has been producing these models since 1930. Due to the aesthetic reduction and clarity, they are suitable for many uses: conference rooms, waiting areas, restaurants, and homes.Hand-sewn bottom side of the backrest. Without (S 32) or with armrests (S 64). Frame chrome-plated or lacquered tubular steel in various colors. Wooden parts in stained beech. Lining with wicker and a transparent plastic mesh or upholstered and covered with leather or fabric. The upholstered chair is also available in versions made with "Pure Materials". In addition, we offer a version with synthetic mesh in black, wooden frame parts in oiled walnut and nickel- or chrome-plated frame.